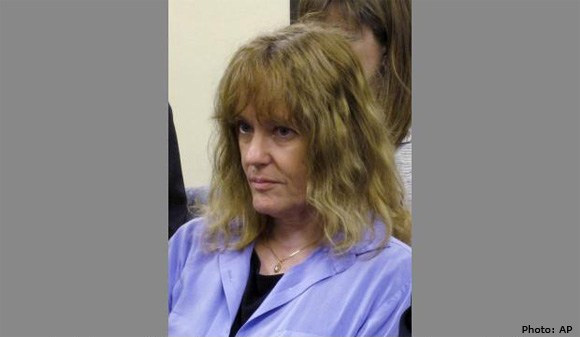 Disgraced Kansas abortionist Ann Kristin Neuhaus. Topeka, KS – For the third time, the Kansas Board of Healing Arts has revoked the medical license of an abortionist who once kept dangerously shoddy records and provided dubious mental health justification for women – including girls as young as 10 – to get late-term abortions at George Tiller’s now-defunct Women’s Health Care Services in Wichita, Kansas. The most recent revocation order was issued in response to a second order by Judge Franklin Theis that the KSBHA reconsider discipline and monetary sanctions against Neuhaus. The case began when Cheryl Sullenger of Operation Rescue filed the initial complaint against Neuhaus and her boss, George Tiller, in 2006, alleging that the two were in violation of Kansas law, which at that time required a second physician who was unaffiliated with the abortion provider to determine whether a woman seeking an abortion after 22 weeks would suffer “substantial and irreversible impairment of a major bodily function” if the pregnancy were to continue. Four years later, in 2010, the KSBHA filed an eleven-count complaint against Neuhaus alleging that she negligently diagnosed mental health conditions in eleven minor girls then submitted those to the Tiller and his staff of three other abortionists as justification for abortions beyond 22 weeks. It also alleged shoddy record keeping, something for which Neuhaus had been previously disciplined. After a disciplinary hearing was held in February 2012, during which Neuhaus showed open contempt for board oversight, the KSBHA revoked Neuhaus’ medical license based on negligent patient care and incomplete, faulty record keeping. She was ordered to pay $93,000 in costs. Neuhaus appealed to Judge Theis, who, in 2014, struck down the Board’s determination that Neuhaus had violated the standard of care and ordered the KSBHA to recalculate discipline based on her negligent record keeping alone. Neuhaus had testified that her incomplete or non-existent records were an attempt to “protect my patients’ privacy as much as I could.” This was inconsistent with earlier testimony that indicated her faulty record keeping was an “oversight” on her part. In 2015, the KSBHA revoked Neuhaus’ medical license for the second time, citing the Board’s multiple attempts to discipline her over substandard record keeping in years prior to the immediate case. As a repeat offender, traditional discipline did nothing to help her amend her ways. Again, Neuhaus appealed to Judge Theis, and once again, he ordered the KSBHA earlier this year to reconsider revocation, which he believed was too harsh. On July 7, 2017, the KSBHA revoked Neuhaus’ medical license for the third time in a detailed 64-page order that also reduced costs Neuhaus must may to $30,890.81. Neuhaus once operated her own abortion facility in Lawrence, Kansas, before closing it down to avoid additional discipline in 2001. She also worked part-time up until 2001 at Central Women’s Services, an abortion facility in Wichita that Operation Rescue bought and closed in 2006. That building now serves as Operation Rescue’s national headquarters. Read the full revocation order dated July 7, 2017. View additional documentation at AbortionDocs.org.